Rajasthan Royals cricketer Manan Vohra will not be joing Lindfield Cricket Club for the 2019 season. The Swans announced the news that the IPL star would be their overseas signing in December. 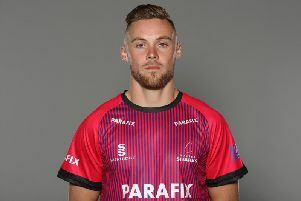 Committee member Gareth Cater said: "Unfortunately, Manan Vohra's visa application has not been approved - the signing was always subject to this happening. "We are in the process of finding an alternative player and have already begun discussions with a number of potential options." SEE ALSO Major coup as IPL star signs for Sussex cricket club | Big Bash League star signs for Sussex Cricket League side for 2019 season | There are 19 changes to the Laws of Cricket in 2019 - but do you know what they are? 25-year-old Manan is a top order batsman who has represented India U19s as well as Kings XI Punjab in the IPL. He was bought by the Rajasthan Royals in December 2018 as part of the 2019 IPL auction, he will then join Lindfield in early May after the IPL season ends. The Royals, who feature English stars such as Ben Stokes and Jos Buttler, are hoping to reach out to cricket fans in the UK ahead of the new season IPL season, starting in March, as they seek to end 11 years of hurt and reclaim the title for the first time since the inaugural season in 2008.